Do you “Drift” on the Approach? February 12, 2019 By Jason McEwen & filed under Bowling Articles. Have you ever been told from a teammate or coach that it’s impossible for you to repeat shots because you are drifting on the approach? 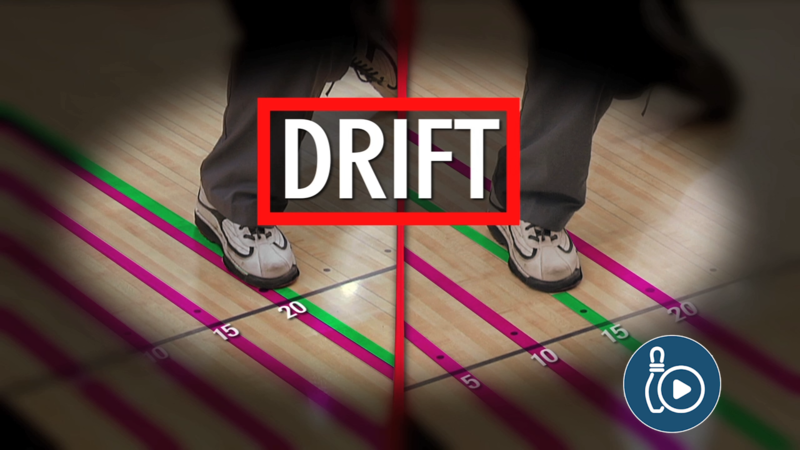 For years, drifting was defined as not walking straight on the approach from the dots to the foul line. Knowing where you start on the approach and where you slide at the foul line is crucial in determining if you are indeed are drifting. If you start on the big dot (board 20) on the approach, take your four or five steps and slide at the foul line ending up at board 24, are you drifting? The answer at this point could be yes, or it could be no. There’s a difference between lateral movement and drifting. If you take ten shots and you start on board 20 and slide on board 24 eight out of ten times, this is not drifting in today’s game. This is your lateral movement. Think of it like your footwork DNA. The other two shots you took starting on board 20 and ended up sliding somewhere other than board 24, is considered drifting. So, you’re at league night, you think the lanes are transitioning because you aren’t getting to the pocket the way you were earlier in the night. Likely you’re thinking about a ball change or a move on the approach and where you are targeting. Is it possible you made an errant shot? Considering none of us are robots, don’t rule this possibility out. But ask yourself this question, if you are not keeping track of where you are sliding, how can you fairly asses if the problem lies with you, the lane or your equipment? Knowing your starting and finishing board will tell you a lot about what’s going on down lane. If you’re being honest with yourself, you know when you miss your target. One of the reasons we miss our target is because of drifting. Think about the earlier example with a starting position of board 20 and the sliding position of board 24. If you don’t know how many boards you typically move on the approach from your starting position to your sliding position (lateral movement), you might get some bad advice on the drift or not drifting conclusion, which could create more problems for you because now you could be working with bad information. If you want to learn more about how to define drift vs. lateral movement from our coaches, check out this video on drifting. They’ll also demonstrate what happens when you drift to the left and when you drift to the right and show you how to correct it. Then, if you think this is a problem area in your game, you’ll want to check out the Tape Line Drill Demonstration. Our coaches will demonstrate the drill for you to work into your practice time. 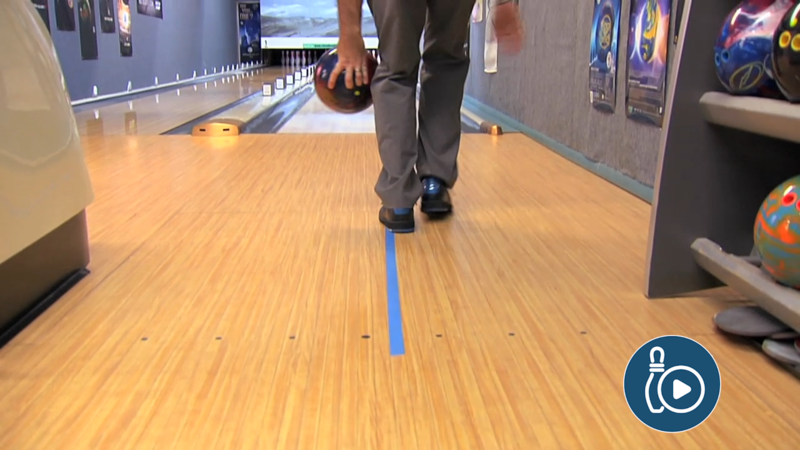 With the multitude of areas to work on in the sport of bowling, footwork is often overlooked. Developing fundamentally strong footwork will help eliminate one of the reasons things are going wrong. Eliminating drift off the list of problem areas will have you repeating shots and increasing scores. I bowl right handed but am left eye dominant. I line up with my right eye and end up “drifting” 6-8 boards. I have learned to compensate for that. My average has gone down since aging and back problems have taken a toll. Should I try to correct this drift? It’s important to note that it is not a drift if you do the same thing every time it’s a lateral move. If you end up 6-8 boards away from your starting position 9 out of 10 times and the other time you ended up 10 boards away from your starting position, you drifted that one time. So you do not need to correct it if you are constant. It’s always good to get back to fundamentals when your average starts to slip. Here are a few drills to start with. I have found myself to literally wander to the line, I noticed this post and thought to myself, I wonder if I concentrate on walking straight to my target, if I would improve… I bowled the best series of the season..